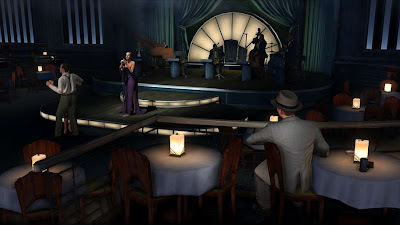 Solving the mystery is more about mind than muscle in this detective saga where you don't just uncover the where Hollywood was golden, hats were fedoras, and chin music was played by fist meeting jaw. Track a evidence; you have to decide how to use it. Enter the hard-boiled world of 1940s Los Angeles, a world serial killer in an investigation where finding the next clue hinges on your ability to decide if people are lying or telling the truth. While the story may be more about your smarts than your shot, you will still carry some iron. But thinking about bullets won't save your skin when the heat is on. Voice acting, and facial animations were amazing. Being a detective never felt any more real. Story, and setting were also amazing. After 2 delays this game is finally out, and you can tell that it was well worth the wait. 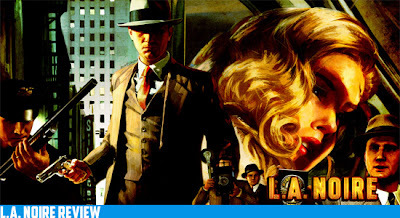 Now the core game play of L.A Noire is all about finding clues, interrogating people, and finding the perp who did the crime. All three of the things that I mention more or less make up the game, but will give you an open world experience that you have never played in any other game before. The best part in my opinion out of all of those 3 was interrogating people. 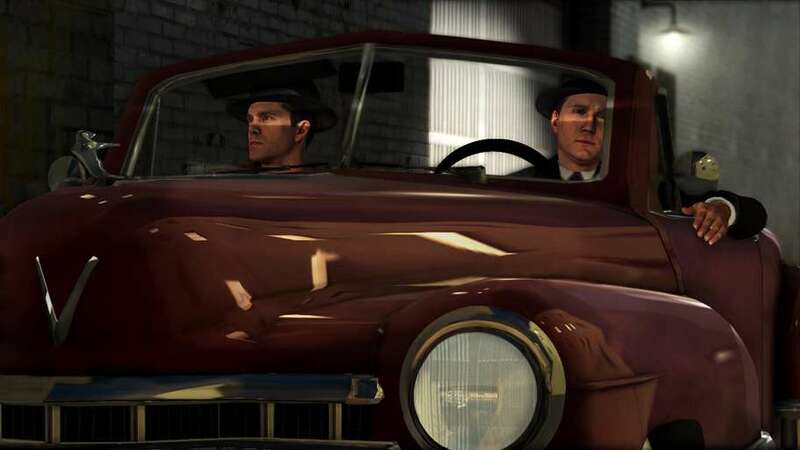 When you are interrogating a person in question you will find out that facial animations are very important to find out if the person is lying or telling the truth and Team Bondi excelled at this part of the game as every little clue about a person’s face can be that little clue that will ultimately lead you to that person who did the crime. Voice acting in this game was very well done, and probably the best since Red Dead Redemption came out. A couple things are glaring while playing this game and bring to mind why this game didn't get a perfect score. When it came to combat it was just too easy, and simple that you will never once feel like you’re going to die. Also the leveling system was lackluster and not very intuitive at all. The side missions were too easy, and never really tried to change up the pace of them. All it felt like it was just simple fetch and retrieve missions that would only last between 1-5 minutes, and it eventually lead to being repetitive. Frame rate issues would sometimes pop up; sometimes it was so bad that it clusters the whole screen as stuff looks like it doesn't look like it was filled in all the way. Free roam mode was a disappointment since it still played like the main game, but all you could do was explore and do the street crimes that you haven't completed yet. This game is for anybody looking for a game that focuses on story, and adventure first, and action last. It was awesome how real it felt driving through the streets of Los Angeles in the 1940's era. They put every little detail into the city that you can really notice how much time they put into the city they recreated. Team Bondi did an excellent job on making this game considering this is there first entry into the gaming market even if Rockstar did have their fingerprints all over it. While a sequel hasn't been confirmed we can’t help but hope this really opens the door for detective games.